Anyone who has attended a youth event led by the Austin College ACtivators understands the group is doing dynamic, engaging ministry, and creating reactions among the young people and adults gathered around them. Of course, “active” is the core of the name. Whether leading worship or trademark energizers, serving as small group leaders, guiding students in service opportunities, or taking part in recreation time, “active” alone is insufficient to fully describe the singing, dancing, praying, playing, teaching, and traveling young people who have been regulars at youth ministry events in the Presbyterian Church (USA) for nearly 20 years. The first ACtivators said their initial offer to assist with an event resulted in requests to make a few posters and help with moving some tables. 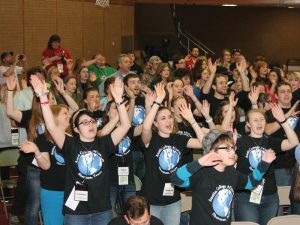 Today, the ACtivators are sought out regularly to organize and lead events, and the group is recognized throughout the region as a force to be reckoned with in youth ministry. 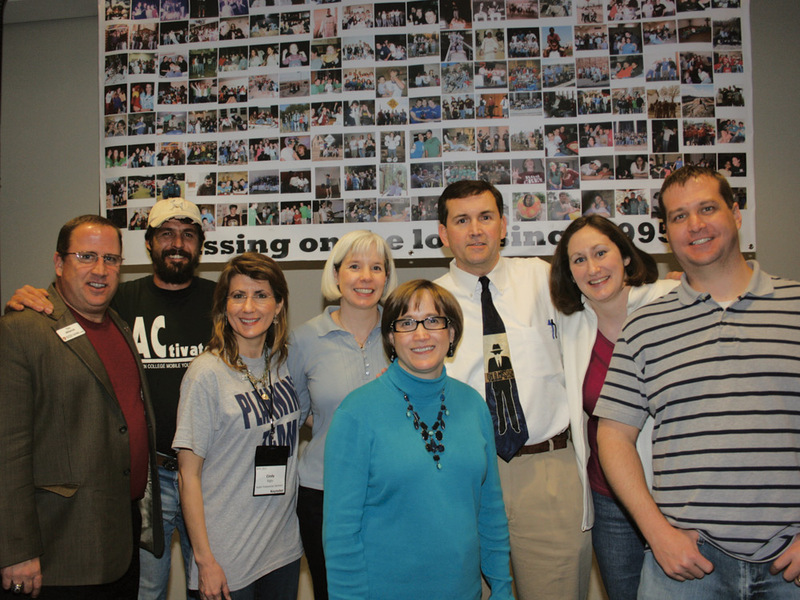 Next spring, the ACtivators will mark their 20th year of ministry. 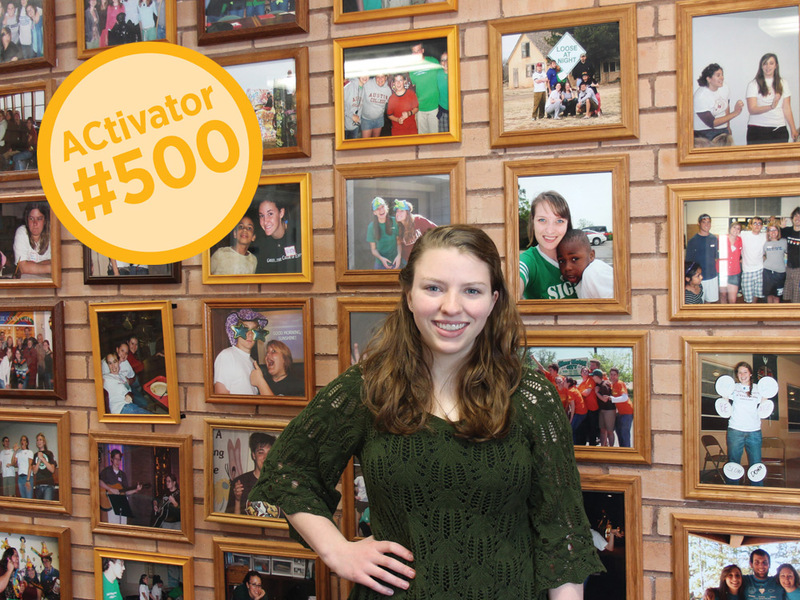 That anniversary is still a year away, and already, since its founding in February 1995, the ACtivators program has involved 512 Austin College students who have traveled over 158,000 miles to plan and lead 588 local, regional, and national ministry events involving over 47,000 children, youth, adults, and senior citizens from 20 presbyteries in 14 states. The effort, led by John Williams ’84, then associate chaplain at the College, started with five students who recruited others –Presbyterians and beyond—to join them in outreach. Today’s thriving ministry was just the germ of an idea for those five young people who all have continued in ministry in their lives after Austin College. In addition to service to others, the program is designed to provide to students the opportunity to remain involved in the life of the church through their college years. That has certainly been the case—offering hundreds of students many and diverse opportunities to practice gifts and share the message that all are “gifted and beloved” by God. 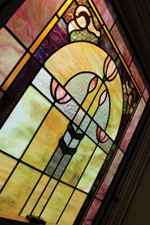 The program received a boost in 1998 with the creation of the Sallie Majors Religious Life Internship Program through a gift from Robert M. Johnson ’53. Mrs. Sallie Kennedy McLane Majors (1885-1975) was a leader in Presbyterian Christian education at the congregational, regional, and national level, She also was Johnson’s great-aunt. 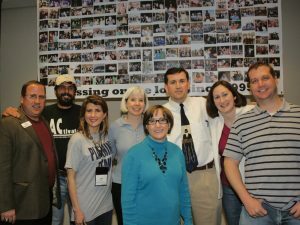 The program in her memory created interns who work with Williams, now Austin College chaplain and William M. Elliott, Jr., Chair in Christian Ministry, to plan and promote all aspects of the Austin College Religious Life Program, including the ACtivators ministry. The students who serve as ACtivators and Majors Interns are not necessarily interested in a career in ministry; they represent a wide variety of academic majors and religious backgrounds—but share a common commitment to young people and providing examples of fun, active college students ready to share their faith in God. 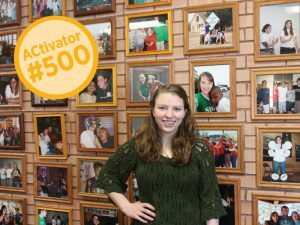 Sarah Monroe ’17 of San Antonio, Texas, was the 500th student to join the ACtivator program, hitting that mark in fall 2013. She just happens to be an Austin College legacy: granddaughter of Haskell Monroe, Jr., ’52, who earned a master’s degree at the College in 1954 and was awarded an honorary doctorate at Austin College in 1980. Sarah made a beeline for Austin College because it seemed a great place to embrace two interests, music and biology, while making a new Presbyterian home for herself. In addition to serving as an ACtivator, Sarah attends Covenant Presbyterian Church and takes part in regular Sunday evening worship services on campus. She also is a member of the A Cappella Choir. Hold on tight to all that is good. Support the weak. Strengthen the fainthearted. Honor all people. Love and serve the Lord. Share what you have. Speak truth tenderly and lovingly. Clean up your own messes. Use the brains God gave you. ARE with us all; Today; Tomorrow; And forever. Amen.